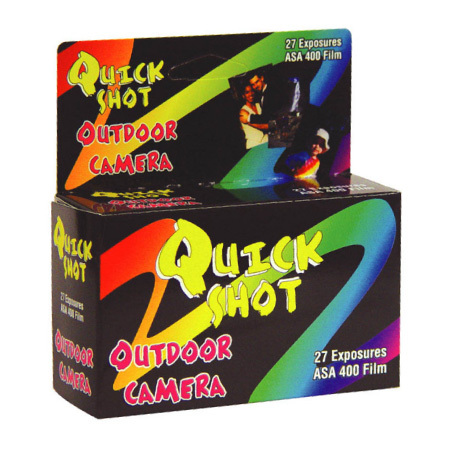 This Quick Shot Camera is the highest quality, most conveniently sized, and most environmentally friendly pre-loaded 35MM Outdoor camera available. This camera comes pre-loaded with high quality color print film and can be taken almost anywhere you go. Because of its size and durability, the Quick Shot Camera is ideal for capturing the perfect shot.